Here at the Gorzycki Library, we want everyone to feel comfortable with the materials they choose to read. We also believe it is important that no one else dictates what your child can and cannot read. We have a wide variety of needs and interests in our community, and we strive to meet them. Some of our resources might not be appropriate for your child, but are needed by another student. Some books are better suited to 8th graders than 6th graders. Some students find certain material uncomfortable; others read those books and finally feel understood. You know your child and their needs best, so we encourage you to take an active role in helping them find amazing books! 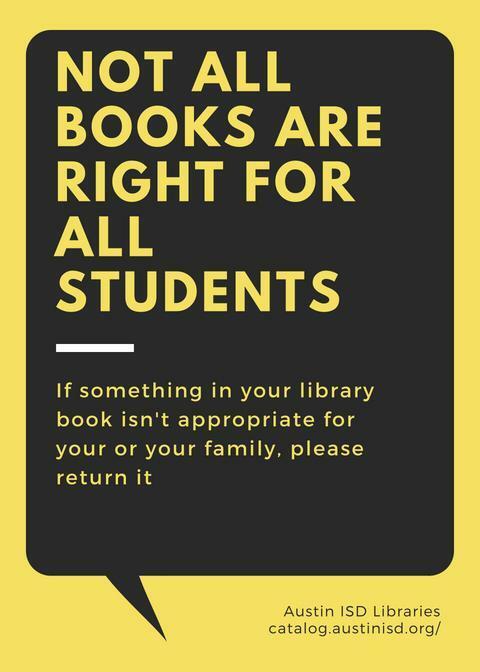 Please use the resources below to explore new titles, check content against any guidelines you personally hold, and get a general sense if the book is a good fit for your student. This site provides an overview of the book’s content (violence, language, positive role models, etc. ), a brief summary, and a review. This is a fantastic, comprehensive resource! The “Listopia” feature contains user-generated lists such as “Great Middle Grade Graphic Novels” and can be very helpful for finding new reads. There is also a “Reader’s Also Enjoyed” feature that is very helpful for finding new titles. Welcome to the Gorzycki Library!